Our shop in San Jose, CA uses the latest diagnostic technology to get you on the road safely and quickly. Whatever your auto glass repair or replacement needs, look no further, get in touch with us today! AutoGlass Masters has been serving the San Jose, CA commnunity since 1988 for all auto glass repair and auto glass replacement needs! 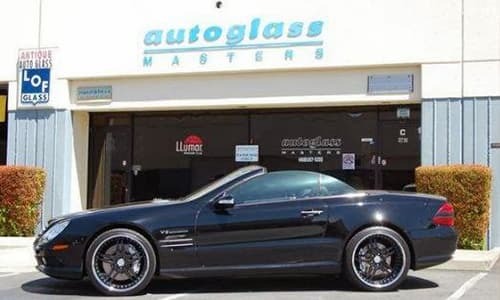 AutoGlass Masters offers competitive prices and uses only the highest quality materials in auto glass repair and replacement serving the San Jose, CA commnunity. Our technicians are highly trained and provide superior quality work with customer service that goes above and beyond what other companies offer. We have 31 years of experience, ready to repair & replace auto glass back to new, all while keeping you informed during the repair process. When it comes to your glass replacement needs, AutoGlass Masters specializes in all makes and models of vehicles. “I'd give them 10 stars if I could. Great price on factory F150 Sound Screen windshield. Beat EVERYONES prices & great customer service. “William is such a funny guy with a nice sense of humor and he's one to make anyone feel 'you can trust me with your car' vibe. I had my window shield crack due to a small pebble that hit my window on the freeway. I've made inquiries about how much the repair would be and he quoted me $50.00 (although it ranges from $50 - $200 but that's if you need to get a new windshield). “I took my Volkswagen GLI in yesterday for a rock chip repair on the windshield. Bill was extremely nice and great to work with. I was in and out in 20 minutes. The repair looks great and I can hardly notice the former damaged portion. I would definitely come back for a full windshield repair if needed. “I've used Autoglass Masters twice, once some years ago to replace a front windshield, and again earlier this week to repair a rock chip. Both times the work was flawlessly done (and I'm particular). Bill is a craftsman who pursues excellence and takes great pride in his work. He is also a very down to earth, nice guy. “Bill was great to work with! Spoke with him over the phone - I could tell that this cracked windshield was going to go smoothly. I could tell that Bill would get the job done - and done right. I picked up my car and the windshield looked great. I went to Bill after Safelite tried to fix a chip in my windshield - the chip became a 12 inch crack. The Safelite technician said that it would have been better if my car was not exposed to direct sunlight - something he told me after he 'made' the crack. If I would have known, I would have moved it into the shade. The Safelite guy told me that they could fix it after paying my $100 deductible. NO THANKS! “My window got smashed and I called a couple places to ask for a qoute. This place was the cheapest. Bill was very nice and straight forward. Talking to him on the phone he came off like he was all about bussiness and all about helping the customer out. Be placed and order for me and I came in on the weekend to get my window fixed. Knowing that the place opened at 8am, I came in at 7:45 and sure enough there he was. He greeted me and he took my information and I left my car. When I came in to pick up my car, my window was installed. 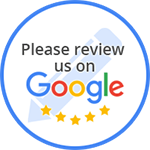 “I went to Autoglass Masters to get my cracked windshield replaced and couldn't be happier with the quality and service received. 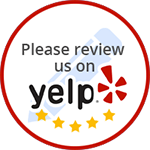 Bill is very friendly and knowledgeable and genuinely cares about the work he does. “A coworker suggested Autoglass Masters to me when my windshield got a crack in it. I spoke with Bill over the phone when I was driving to work, trying to get an appointment. Bill got my car in that day and had it fixed within a short time while I was working. When they were replacing the windshield they found lots of rust, which they sanded off and coated to slow the progress of the rust, which they did free of charge. “Last week a rock hit my windshield on the way home from work. With the cold/hot weather during the week the crack went from 1 inch to 2 feet in just a few days. I knew I had to get my windshield replaced. I was shopping around to find the best deal when Capitol Toyota finally called me back and recommended Auto Glass Masters. My quote from Bill was not the cheapest, or fastest, but the quality service is well worth it! Actually, what I was charged was actually very affordable. And now I'm starting to question the 30 mins/1 hour quotes I received from other people. I came in at 9am, picked up my car at 1pm. Bill made sure I knew the proper after care for my car before I left. “Bill really took care of my windshield. He is professional, knowledgeable, and friendly. I realize now why he has such a great record. Thanks Bill, I'm very happy with your work.